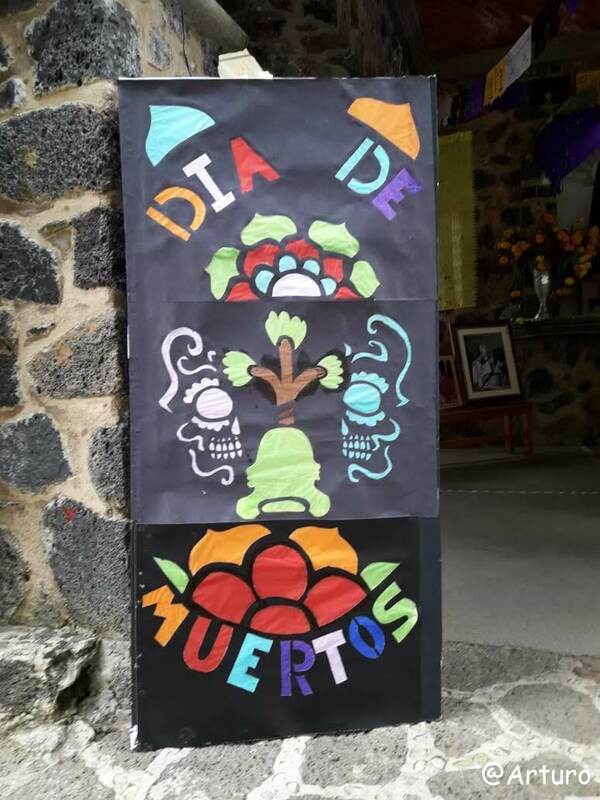 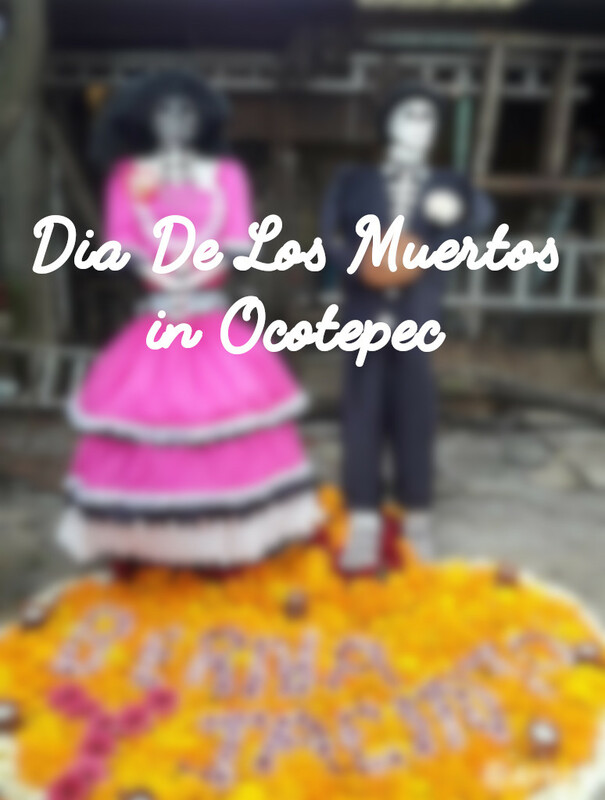 That is how I introduced this article in the post about the day of the dead. 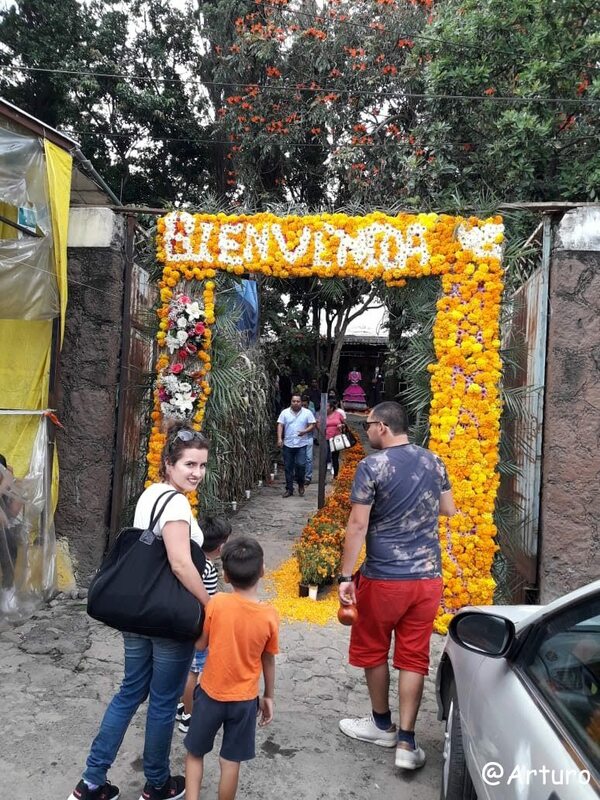 My friend Arturo lives in travel distance from this city and took some really great photos of the celebration this year. 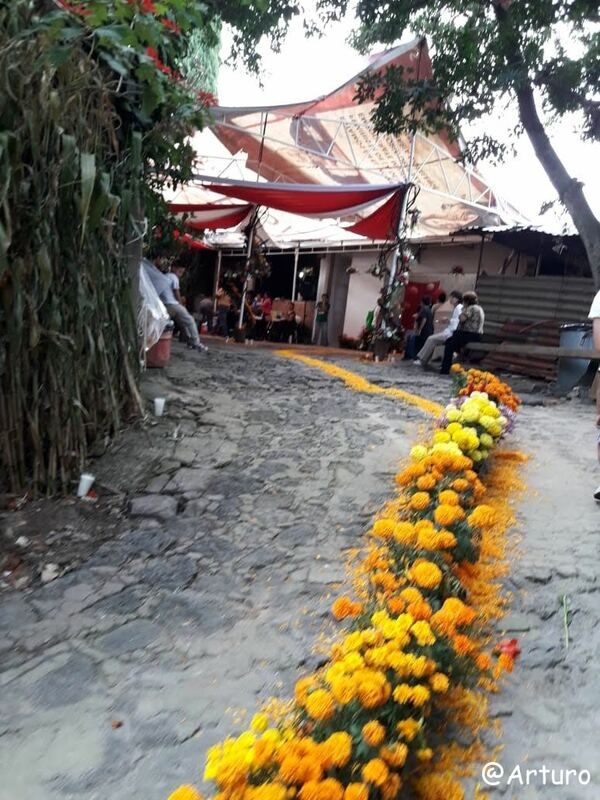 Houses with altars are marked by elaborated entrances and flower paths, so people passing by are warned of the arrival of a deceased and that they can enter and admire the offerings. 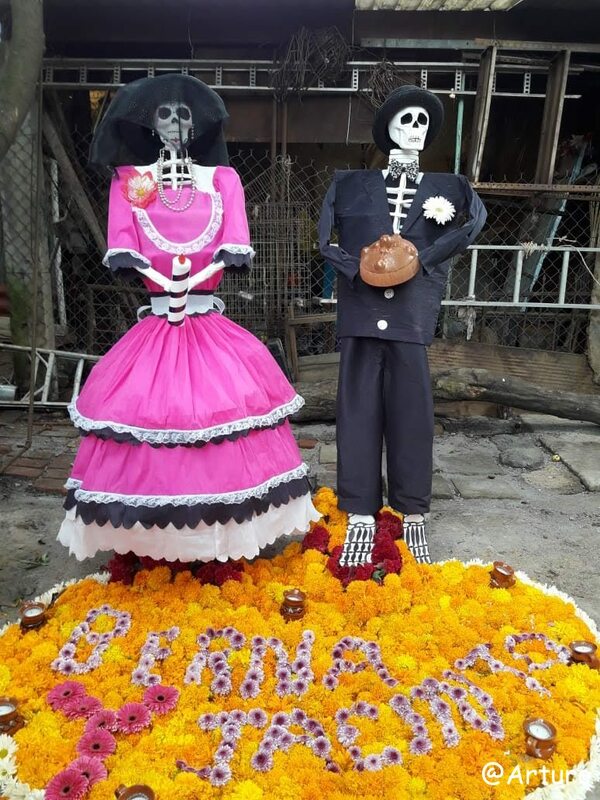 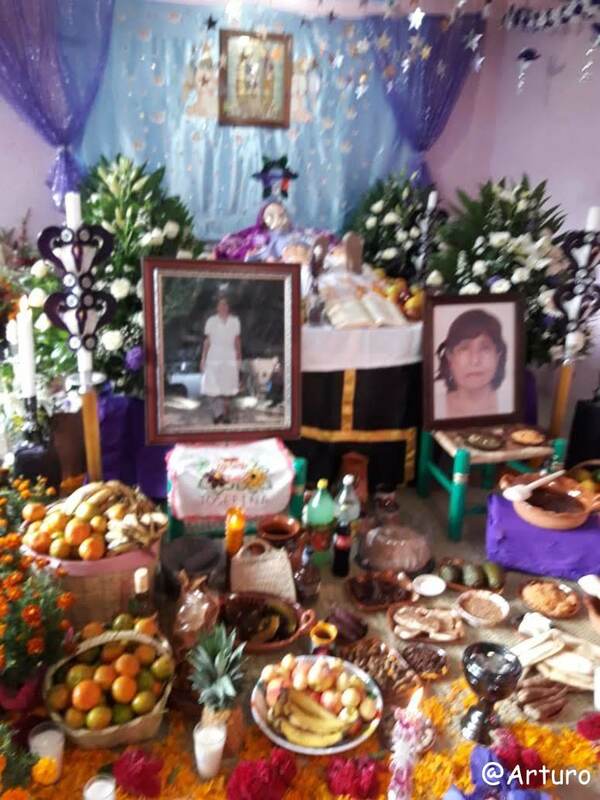 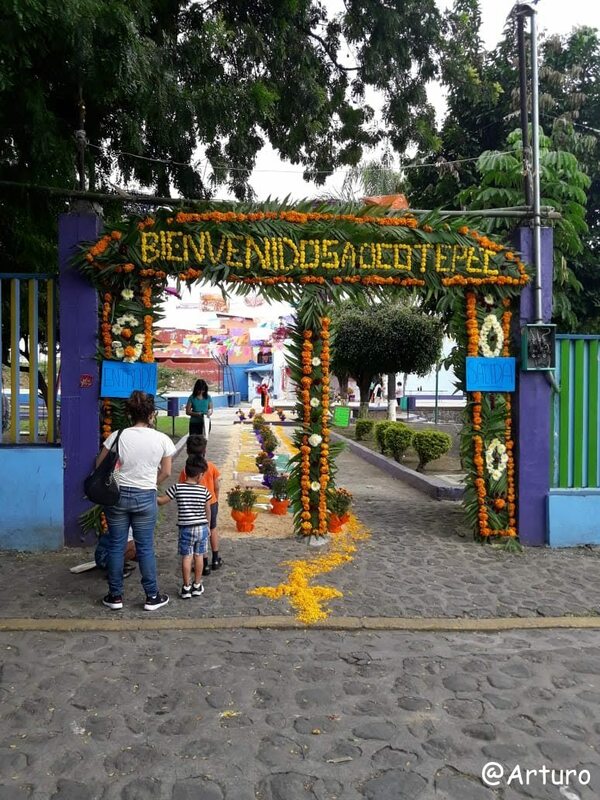 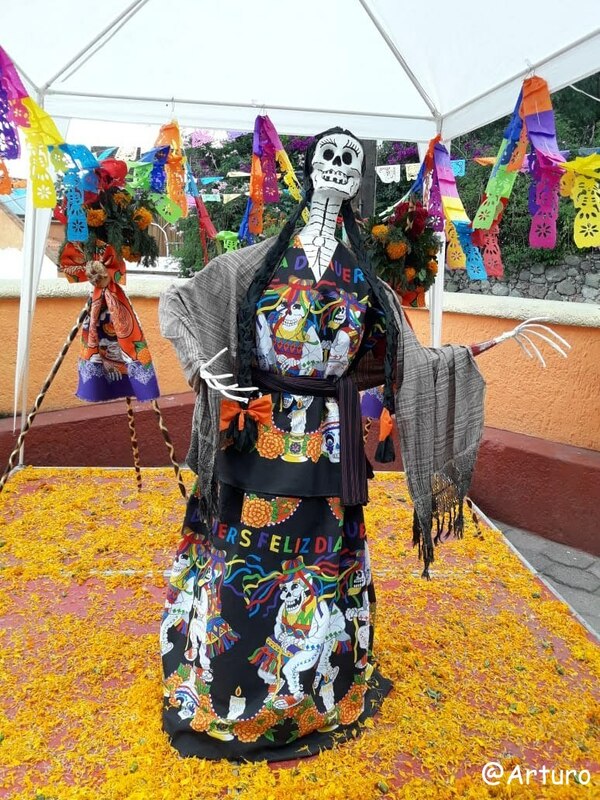 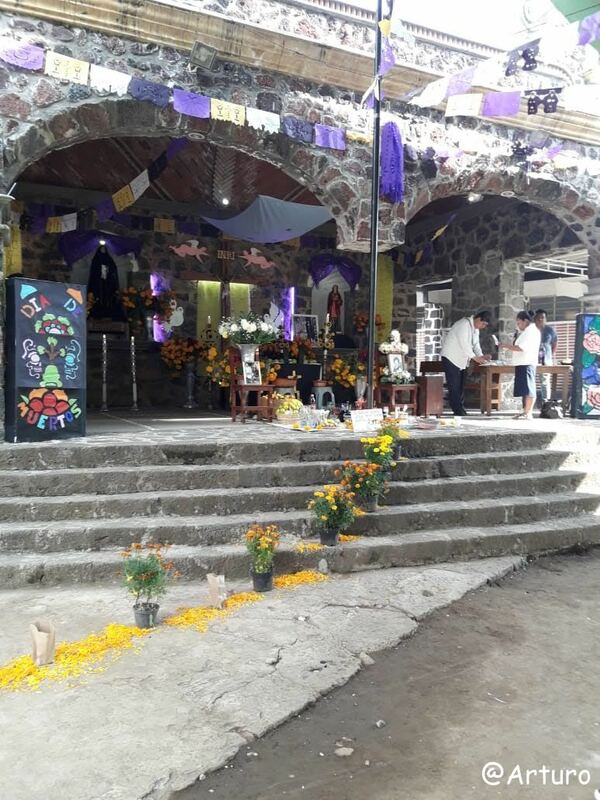 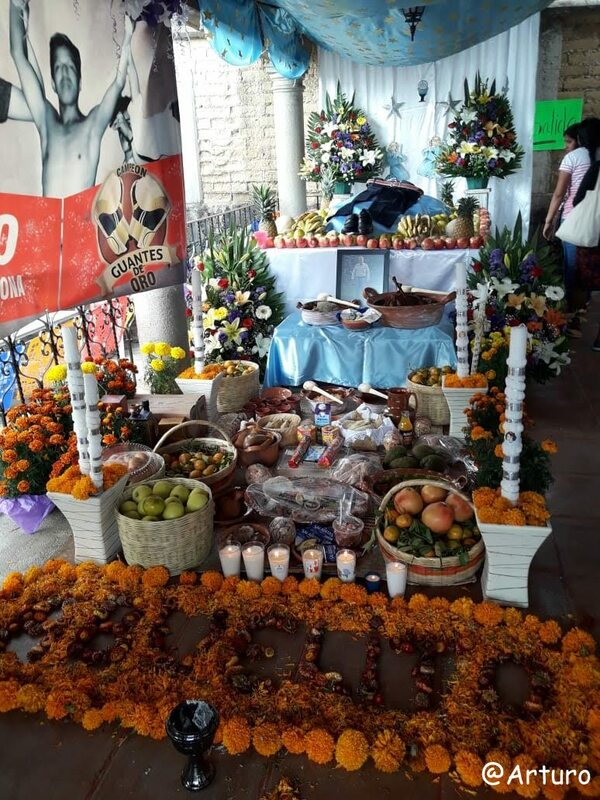 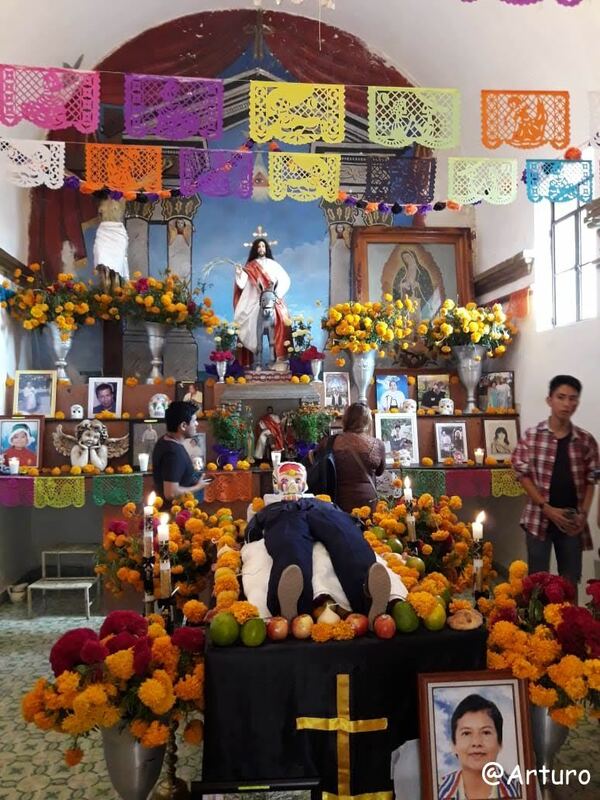 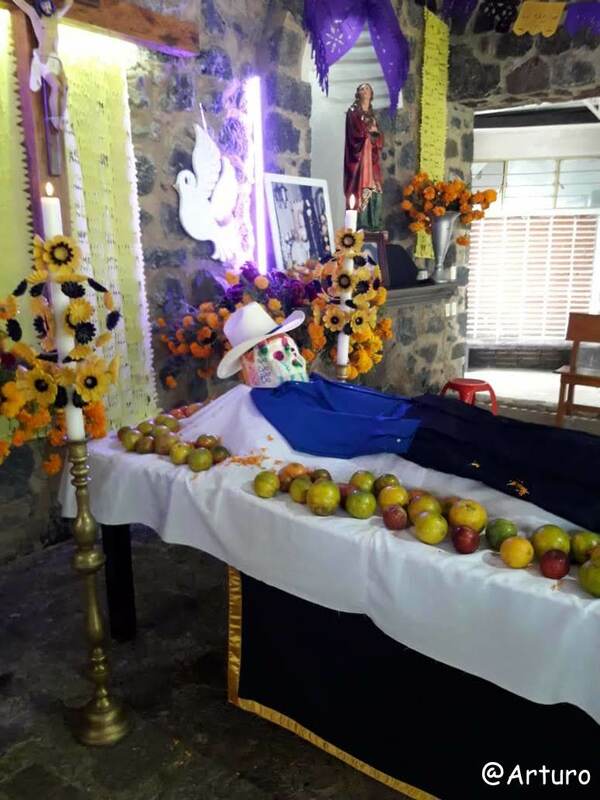 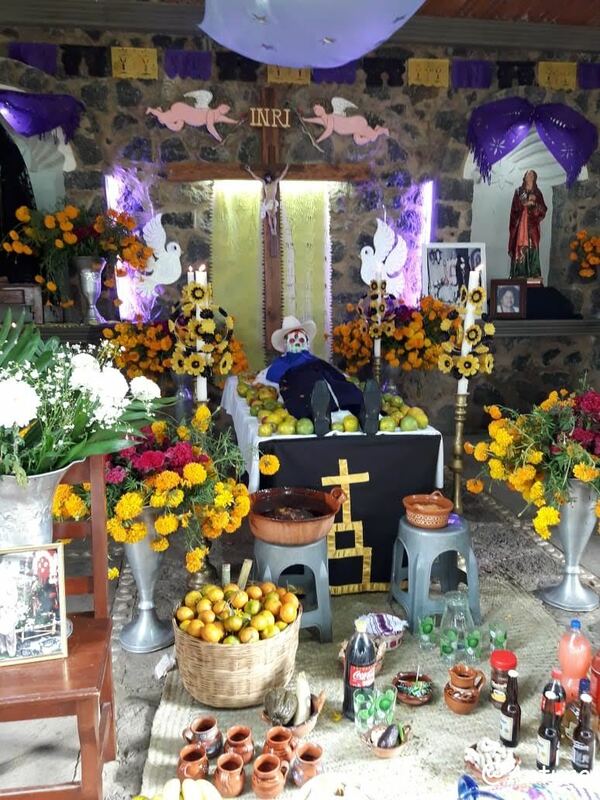 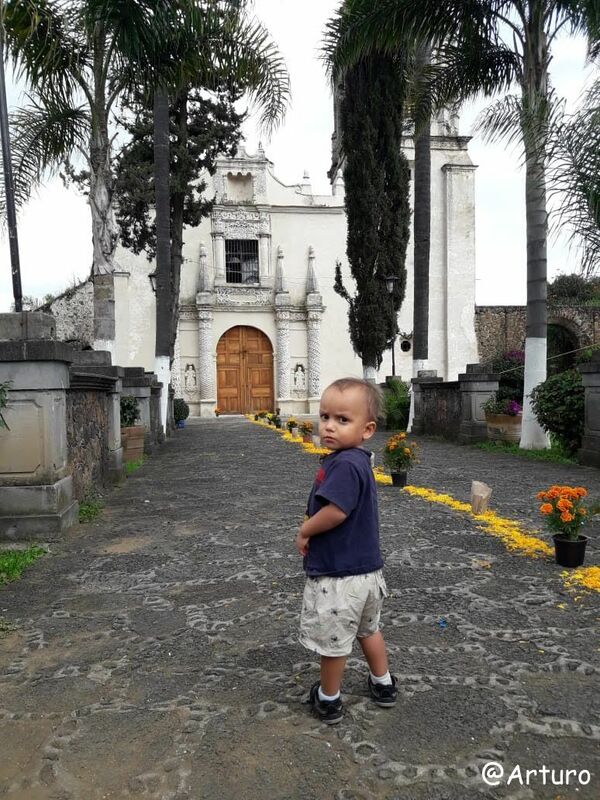 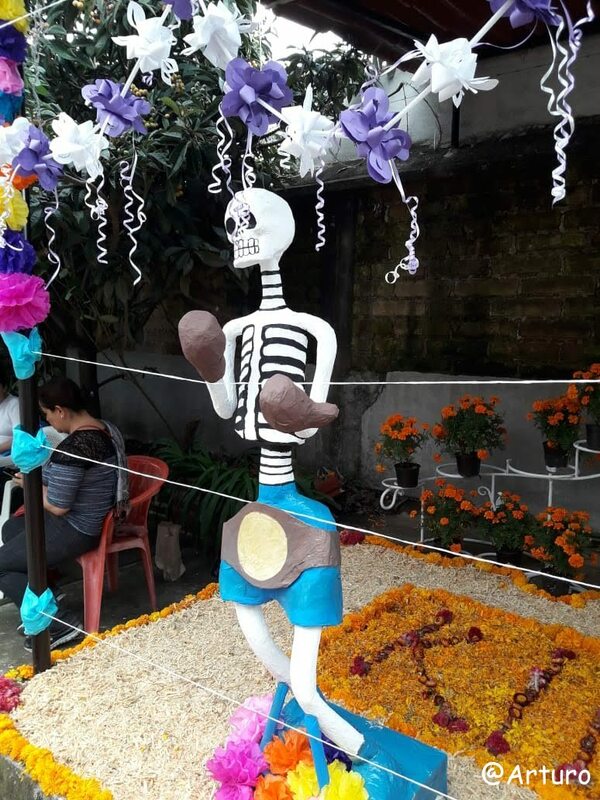 One of the traditions in Ocotepec is do build an altar, called Ofrendas Nuevas (New Offerings), where the body of the deceased is recreated, dressed in new clothes, shoes and hats. 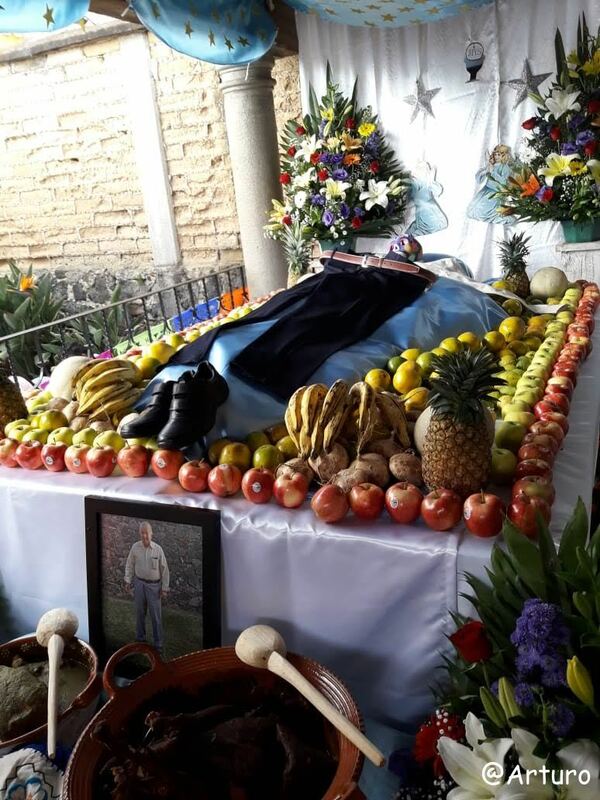 Close to the head the traditional sugar heads are placed and everything else is filled with the favorite dishes and drinks of this person. 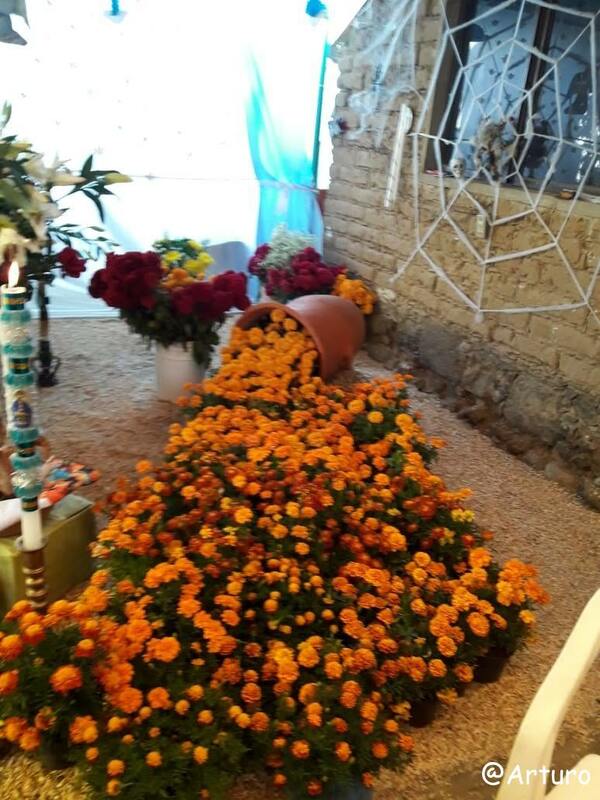 From 31.10. till 02.11., different masses are held in honor of the arrival of the deceased loved ones. 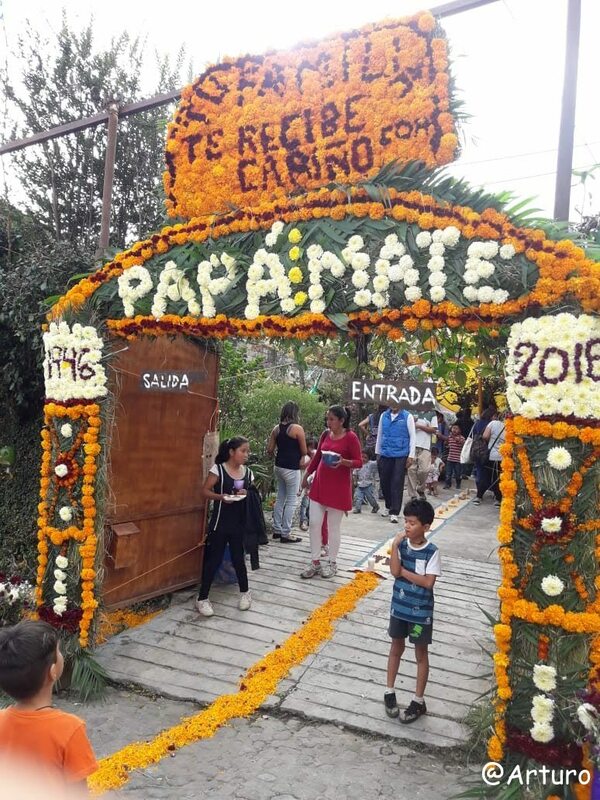 The bells will announce the arrival on different times for children and elderly. 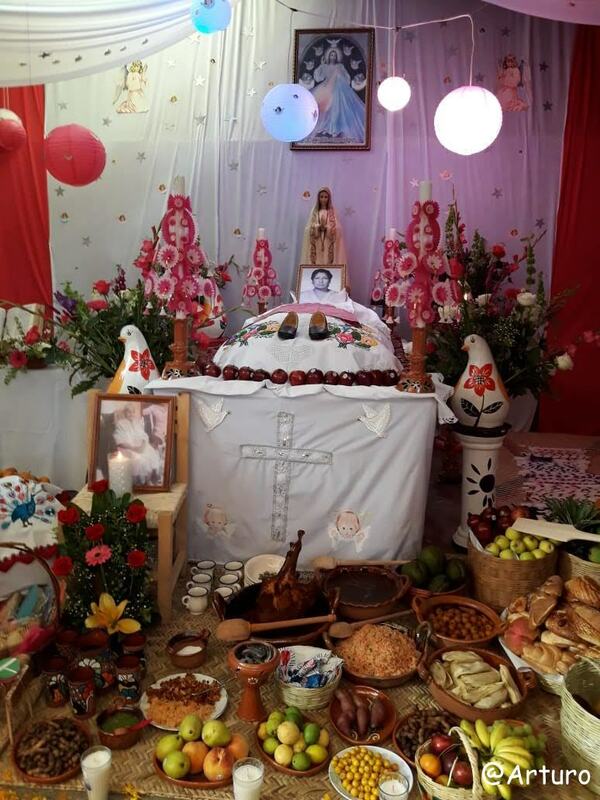 On the morning of the 02.11. the priest will go to the cemetery to offer another mass. 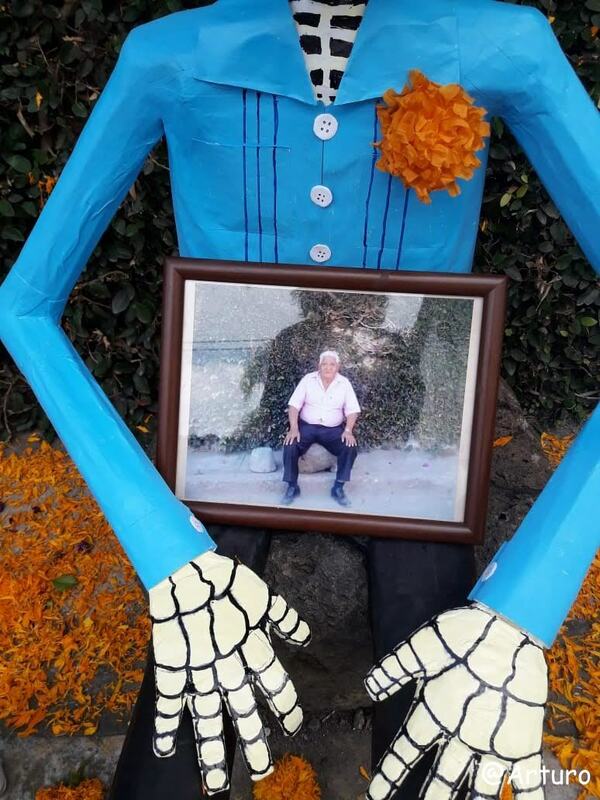 During these days, people perceive the death of their people both, with happiness and sadness. 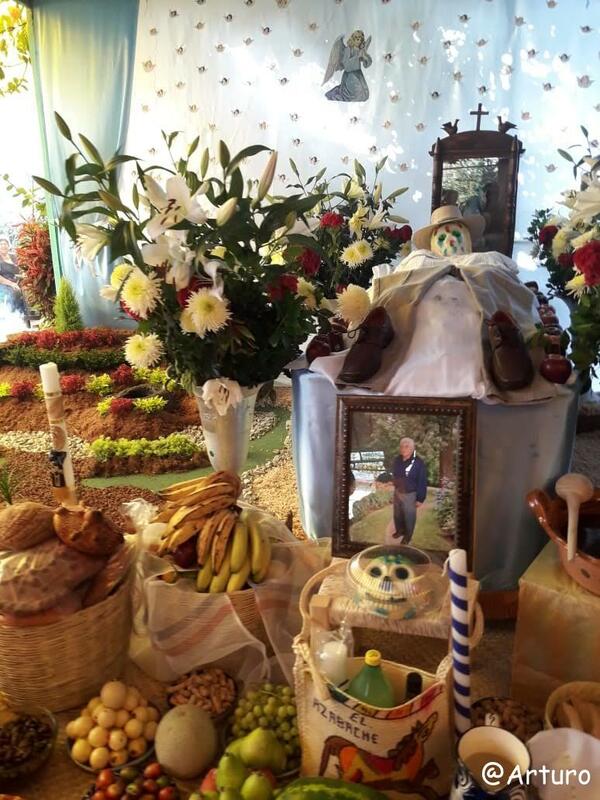 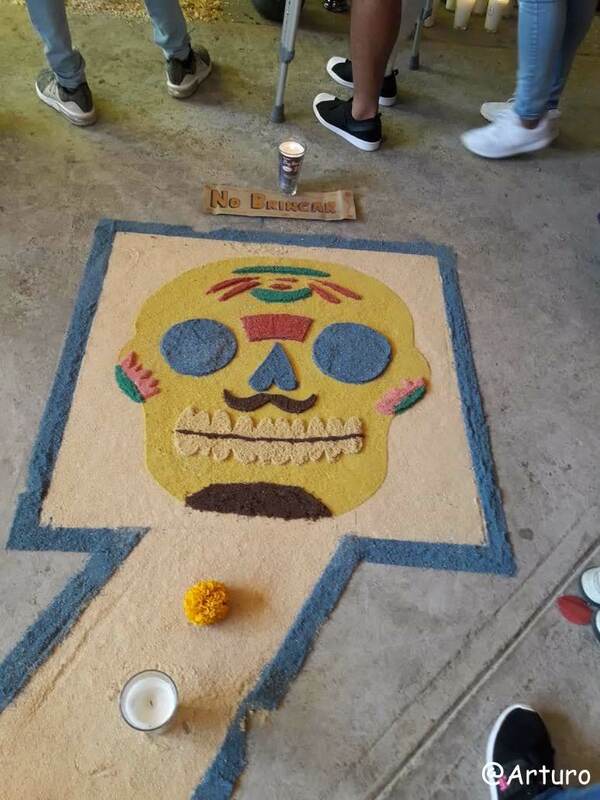 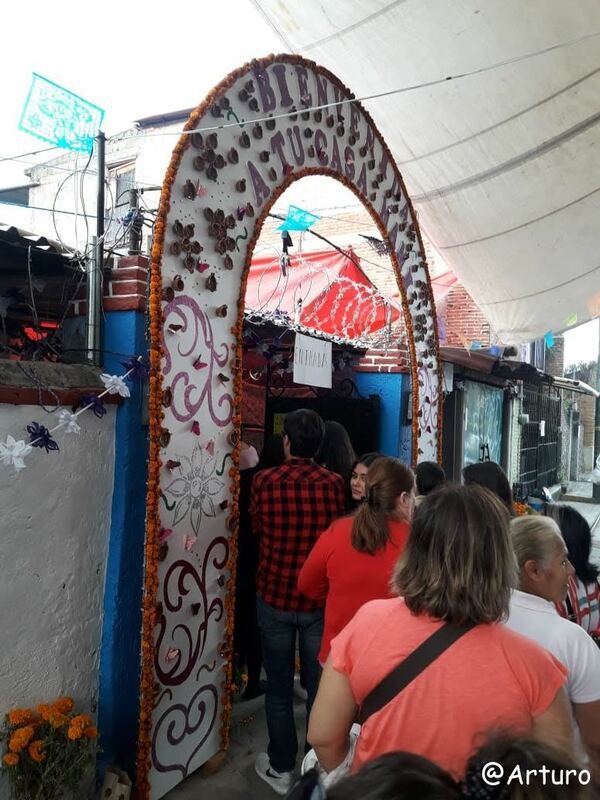 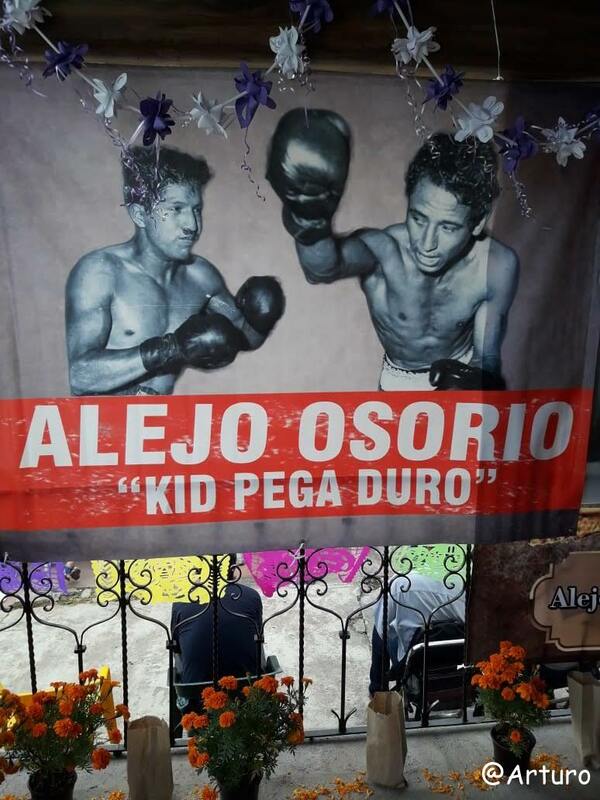 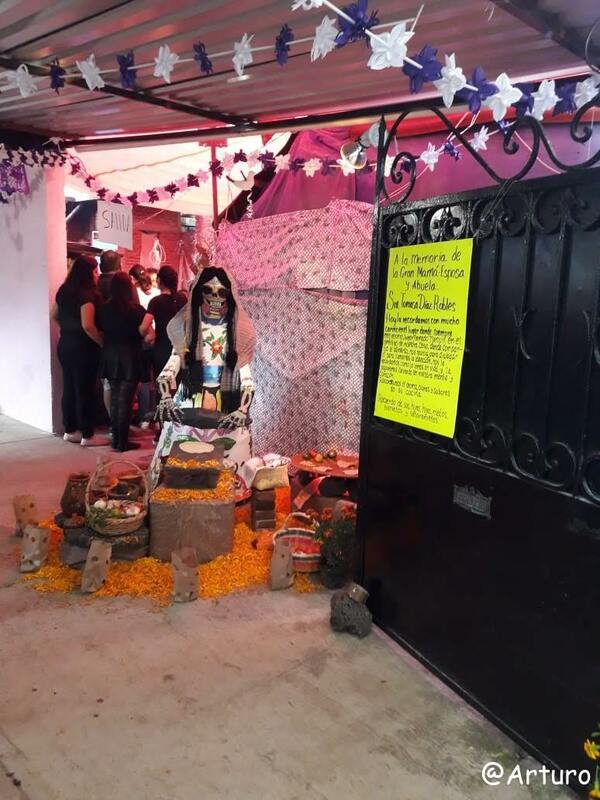 Neighbors will make visits to other houses to eat and drink from the Ofrendas Nuevas. 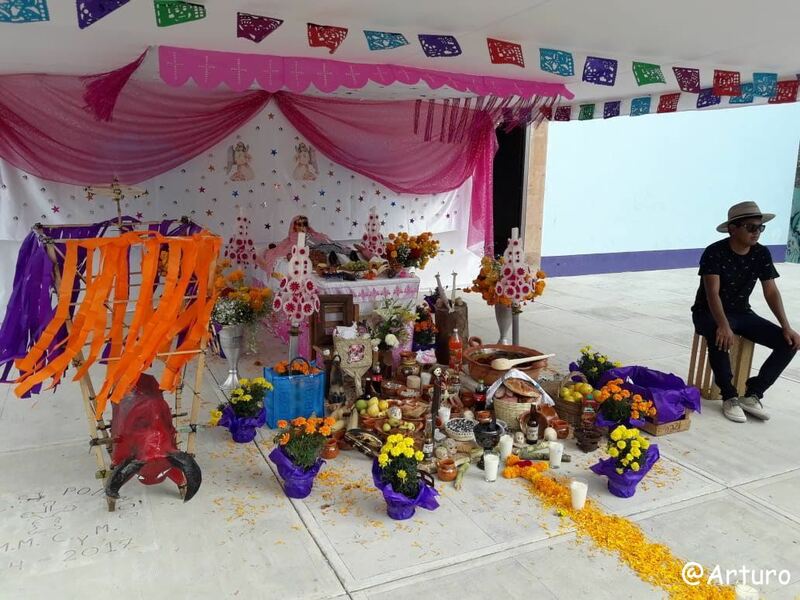 Without writing much more about it, I will let the pictures speak for themselves. 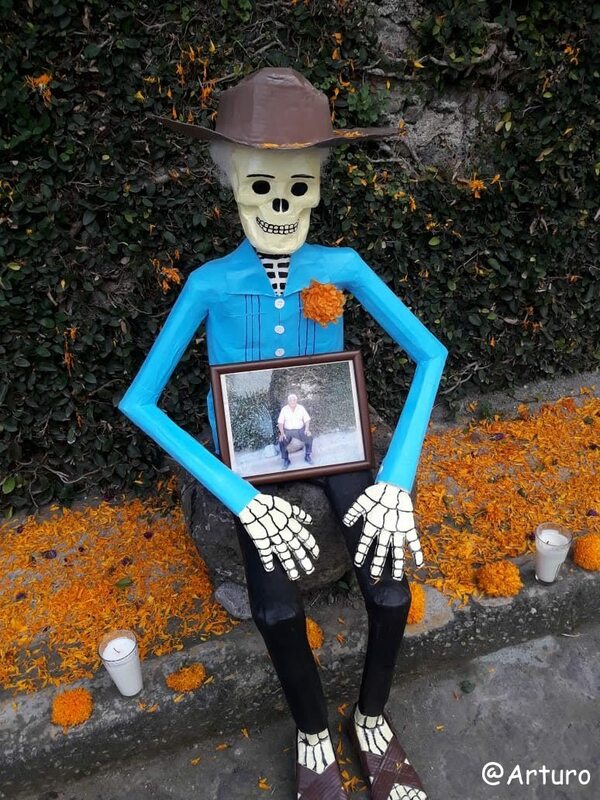 Thanks again, Arturo.